We’ve seen a huge boost to the Wigan & Leigh Art scene lately – so if you’re looking for the latest workshops, exhibitions, poetry nights and much more. Look no further. 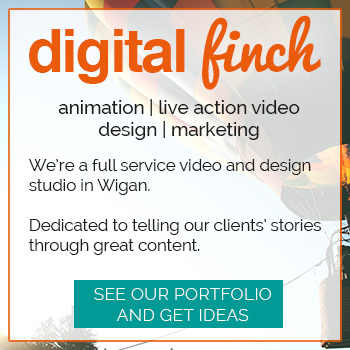 Here’s a list of the main Art and creative related space in and around Wigan & Leigh. Founded in 2004, Cross Street Arts is a working artist studios and gallery. The studios houses around 15 professional artists working in a broad range of media, a further 20 or so associate members are connected to the space. They host irregular exhibitions by external artists along with an annual open studios and exhibition, and occasional workshops. Cross Street welcome visitors to view the studios, get in touch to make a visit, or pop in if you are in the area. Please visit the Facebook page or website to see up coming events and exhibitions. Visiting the studios and all exhibitions are free. Prices for other events will be stated on our media. Parental guidance is necessary as some artwork my be deemed unsuitable to some viewers and the studios is a working environment. Museum of Wigan life houses fascinating permanent historical and fine art displays from the Boroughs collection alongside changing exhibitions which combine contemporary art, history and further treasures from the collection. They also host day and evening events, walks and workshops across the history and art disciplines. The Creative hub is home to a gallery, workshop spaces, Wigan Small Cinema and more. The hold regular contemporary art exhibitions along with film nights, gigs and workshops from coding to pottery. Inspired by the need for people to engage with the STEM subjects as well as the arts. The Old Courts is a creative megaplex in Wigan. There is very little that isn’t going on. They are a not for profit arts centre hosting the best in live music, art, spoken word, theatre & dance. They have very regular gigs, performances and events. They also house The Isherwood Gallery with an ongoing contemporary art exhibition programme. They also host The Wigan Arts Festival. All ages, from 18+ evenings and family friendly events and workshops. The Turnpike is a new, independent arts organisation. Since January 2017, it has occupied the first floor of an iconic 1970s brutalist building in the centre of Leigh, Greater Manchester. It hosts incredible cutting edge exhibitions and aims to inspire new cultural opportunities. Leigh Hackspace is an inclusive shared social and work space for makers, artists, creators, ‘hackers’, crafters, designers, fixers, geeks and nerds from Leigh and the entire surrounding area. Whatever creative or making thing you do – or want to learn how to do – you can do it at Leigh Hackspace. They host workshops and making opportunities for all ages.